Not So Trad have an outdoor meet schedule that’s the envy of a lot of bigger clubs. Our UK schedule runs all year round. From spring to autumn we average one UK meet every other weekend, and we try in our trips to strike a balance between trad, sport and bouldering. We also run week-long trips to further-flung destinations in the UK. Most UK meets attract 15-20 members, though popular ones (for instance our First Time on Rock weekends) can have more than 30. Over the winter there are trips to Scotland for winter climbing, walking in England and Wales, and usually a couple of cheeky trips to southern Europe. Outdoor meets are organised online, via our club forum Not So Trad News. For UK weekend meets, transport is usually by car with lifts available for non-drivers. Most people leave London on Friday after work and return late on Sunday. Accommodation varies from campsites to bunkhouses and B&Bs. There’s always a big group meal on the Saturday night, either in a local pub or restaurant or around the campfire if the weather allows. As well as weekend meets, on summer evenings after work or at the weekend we organise ad-hoc trips to Harrisons Rocks in Kent, making the most of the sunshine and long evenings. We also run several trips to European climbing destinations per year, for Alpine mountaineering, sport climbing and bouldering. What’s it like to go on an Not So Trad trip? 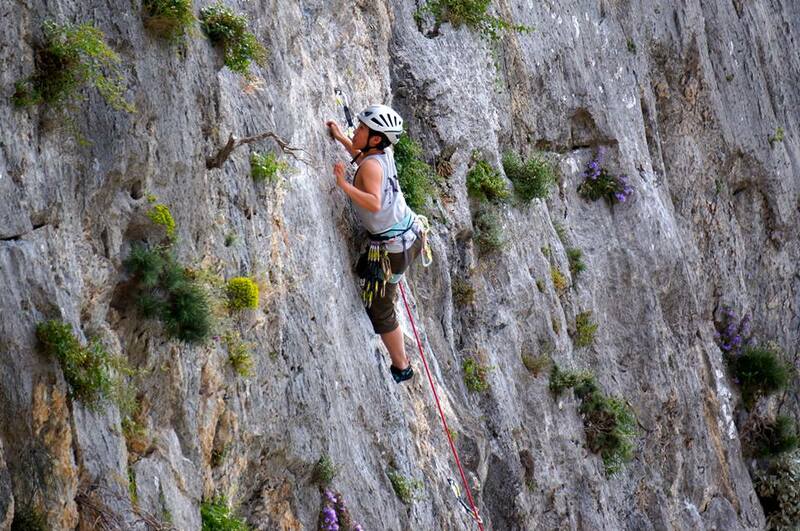 The minimum experience required for each meet depends on the nature of the climbing – for instance, sea cliffs require more experience than single-pitch gritstone crags. If in doubt about your experience for a particular trip, you can consult with the trip organiser. 2-3 of our UK meets are designated as “First Time on Rock”, where members who haven’t climbed outdoors before can get a taste of real rock, supervised by more experienced members. Each meet has a pair of organisers who are responsible for booking accommodation, co-ordinating lifts and so on. Once you’ve been on a few trips, volunteering to organise one yourself is a great way of giving back to the club and getting to know other members better. We encourage all our members to develop their outdoor skills both informally on the rock and formally through training and development. We run a yearly Learn to Lead weekend, subsidised by the club.